Panasonic has done it again — something good, that is, by revealing the all-new Panasonic Lumix G9. This is a flagship Digital Single Lens Mirrorless camera that will not only be able to deliver an outstanding degree of mobility, it will also come with an extremely high response speed. Being inspired by the GH5’s level of high performance, the Lumix G9 is proud to achieve the highest-ever image quality in photo shooting through the elevation of resolution, gradation and color reproduction courtesy of its 20.3-megapixel Digital Live MOS Sensor that does not come with a low-pass filter. Not only that, there is also a High Resolution mode which will offer 80-megapixel equivalent images in JPEG /RAW formats, all of it produced in-camera. To sweeten the deal, Panasonic has also ensured that the Body I.S. 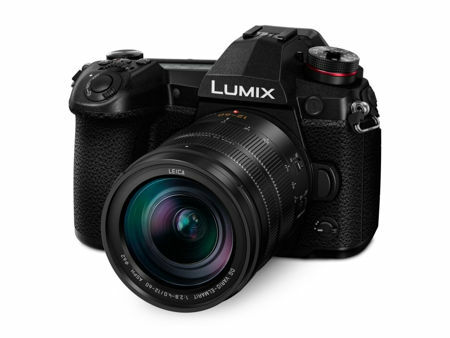 (Image Stabilizer) located in the Lumix G9 will see a dramatic improvement. In other words, shutterbugs can now make use of 6.5 stops of compensation with or without Dual I.S.2.0 compatible Lumix lenses. This was made possible courtesy of a more accurate calculation of shake regardless of the different shooting conditions, making use of information of angular velocity and motion vector that were picked up not only from the gyro sensor, but also from both the image sensor and accelerometer sensor. The Lumix G9 is also a frontrunner in another department, laying claim to being the fastest-in-class 20 fps (AFC) / 60 fps (AFS) in 20.3-megapixel full resolution, enabling it to virtually capture all of those unmissable moments. It will also comply with 6K/4K PHOTO, allowing users to select the most suitable burst shooting mode apart from the usual consecutive shooting mode, as well as the new pre-burst shooting mode. The possibilities are endless! Expect the Panasonic Lumix G9 to be available in January next year with the body retailing for $1,699.99, while its Battery Grip will go for $349.99.